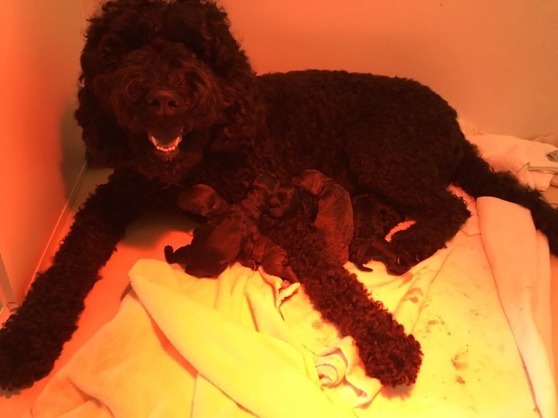 Angel, Yatzie's daughter from the Angel-litter, had five puppies today! The proud father is Ollie. 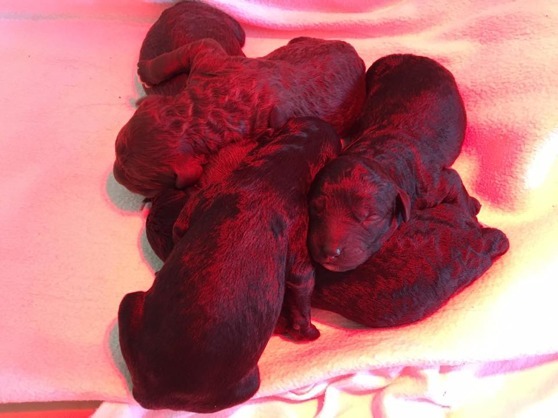 2 boys and 3 girls, some brown and some black, most of them with some white markings. We wish the sweet mother good strength and we are all very proud!